We had so much fun with this next activity! Rosie and Jewel love baking soda and vinegar science, so with that in mind I set up a little experiment. The objective was to see if we could make glowing volcanoes, and the results were amazing! Are you ready to wow the kids? Then give this experiment a try! 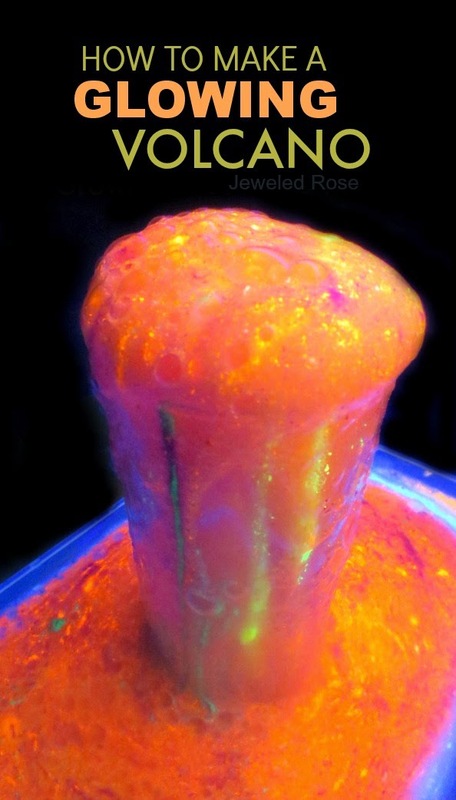 What could be more fun than a glowing volcano & erupting rainbows? To my kids not much! 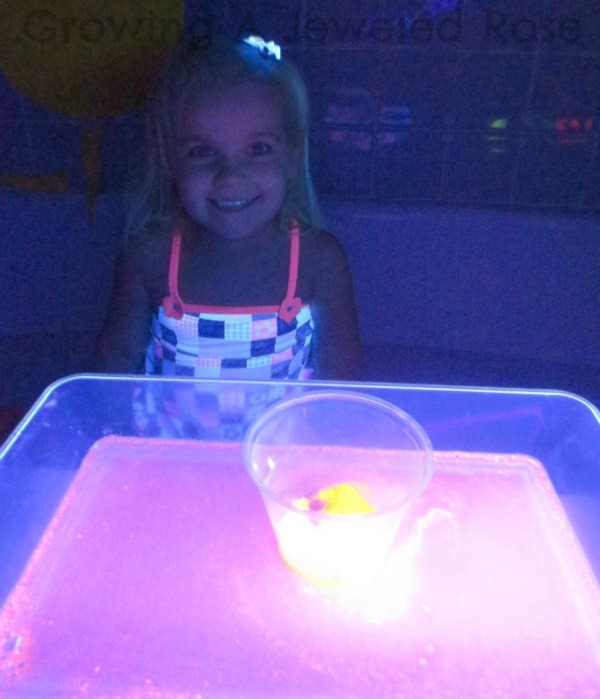 Rosie absolutely LOVED this activity! We made SO MANY ERUPTIONS, each one more beautiful than the next. Not only was this activity super fun and beautiful but also super simple, making it one of my all time favorites so far. Are you ready to give it a try? Just look at that! Simple & amazing Science. We were mesmerized! We made our volcano erupt over and over! 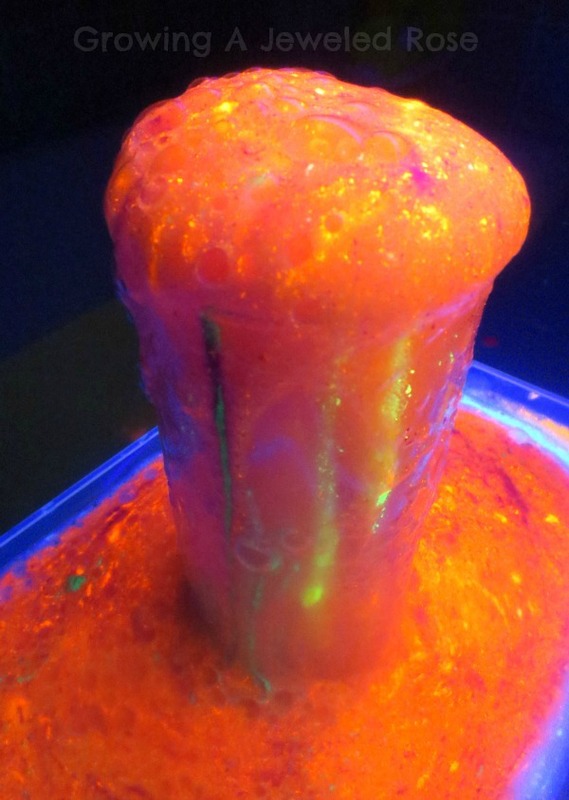 We did find that stirring the paint into the vinegar helped the entire volcano to glow intensely. I recommend mixing the paint in to make the vinegar glow before adding it to your volcano. 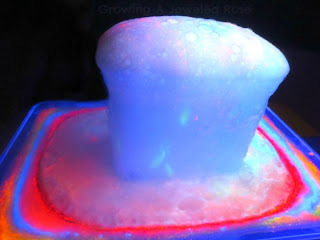 After a bit of play with our volcano we moved on to making GLOWING rainbow eruptions. These were so cool! 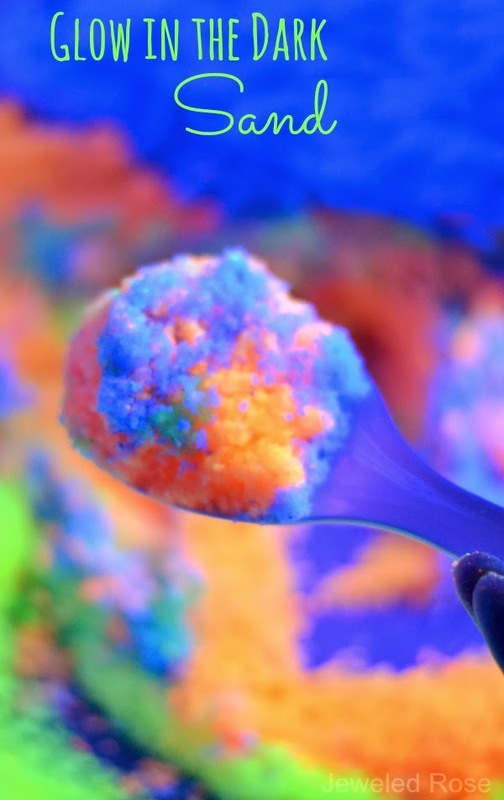 All you have to do to make rainbow eruptions is add varying colored glow paints to your baking soda before pouring in the vinegar. 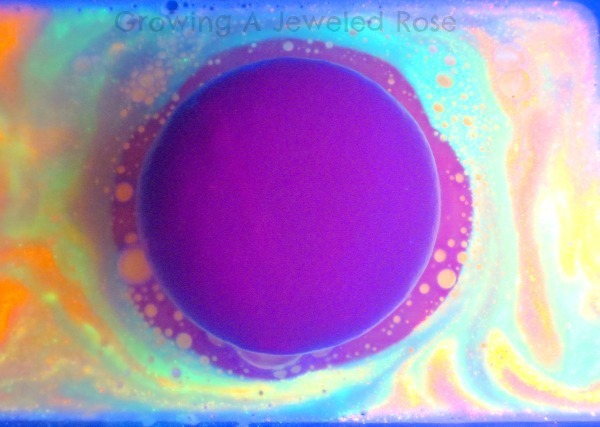 You can add a dollop of paint at a time or a bit of each color of the rainbow to make erupting rainbows. We made many eruptions, some with one color of paint and some with all the colors at once. Every single eruption was stunning! We really had a blast with this scientific play time! Give it a try! You truly won't believe your eyes! 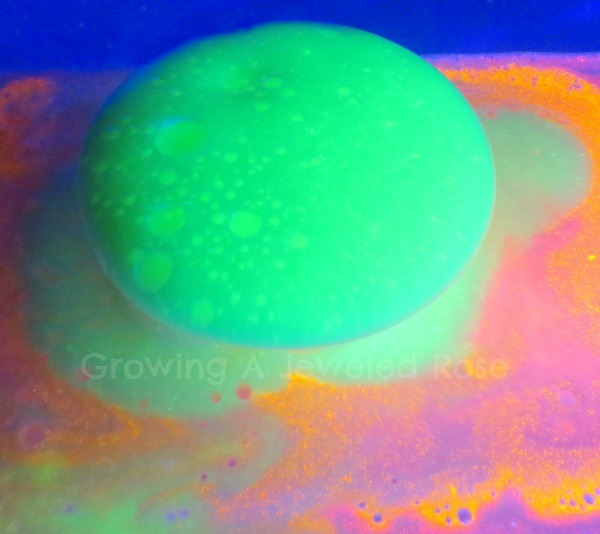 A Few Tips: You can find glow in the dark paint in a variety of colors online here. 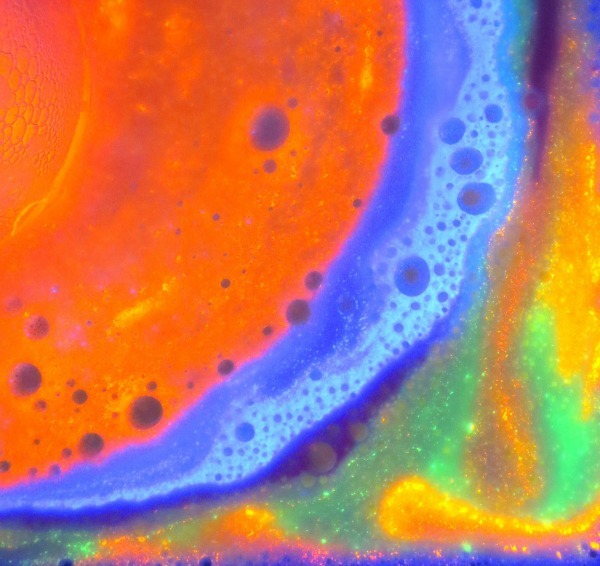 The fluorescent paint we used can be found here. If using fluorescent paint you will also need a blacklight. 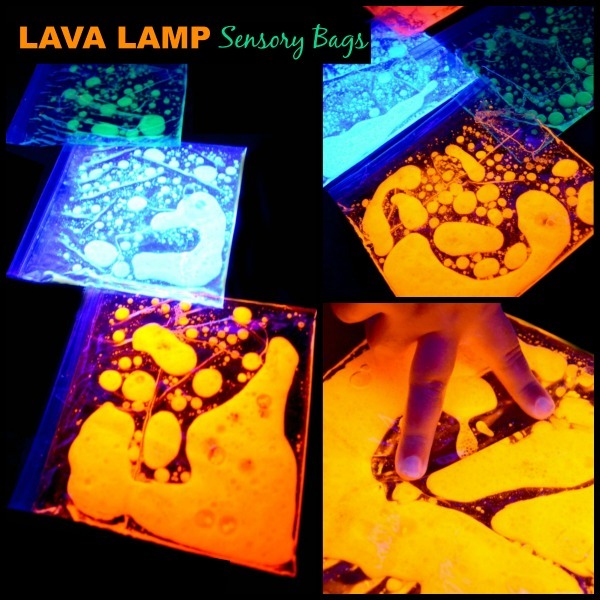 I highly recommend using one, as it makes the glow of the eruptions super vibrant! This is the blacklight we currently have. You can get baking soda and vinegar in bulk online here and here. If using glow in the dark paint don't forget to charge it by a light source before play. Looking for more fun for kids?